SLOANE REALTY prides itself on being a third generation, family business that has been the leader of real estate in the South Brunswick Islands for since 1955. Started by George A. Sloane II and wife Willa Rae Sloane in 1955 and proceeded by their children George "Tripp" A. Sloane III and Debbie Sloane-Smith, Coldwell Banker Sloane Realty continually strives to be the leader in all facets of real estate sales and management in the South Brunswick Islands. Coldwell Banker Sloane Realty along with the South Brunswick Islands has seen quite a bit of growth since Mr. George and Mrs. Willa Rae opened their doors for business in 1955. In October of 1954, Ocean Isle Beach and neighboring islands were devastated by Hurricane Hazel. 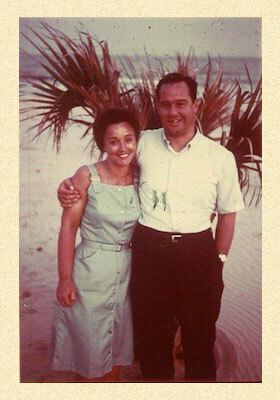 The following year Mr. and Mrs. Sloane decided to move on the island and were the first full-time residents of Ocean Isle Beach. Shortly thereafter they opened an oceanfront hotel where they lived and operated a real estate office out of. Today a new 75 room oceanfront motel (Ocean Isle Inn) stands where the original motel was and is one of several successful businesses the Sloane family owns and operates. In addition to the new Ocean Isle Inn, the family also owns and operates Sloane Realty Vacations, Carolina Golf and Beach Resorts, Coldwell Banker Sloane Realty, and Coldwell Banker Commercial Sloane Realty. Today our real estate division has grown to 3 offices with over 30 agents with dedicated residential, commercial, and new home divisions and is proud that our company has been the #1 real estate company in closed sales volume in the South Brunswick Islands for 7 consecutive years. As you can see the Sloane family can accommodate all your real estate needs. The Sloane family would like to thank you for visiting our website and look forward to helping you with all your real estate needs in the present and future.